Who isn't a sucker for a good romantic quote? They're little nuggets of wisdom that make our hearts sing and our souls dance. Life wouldn't be complete without these quips. 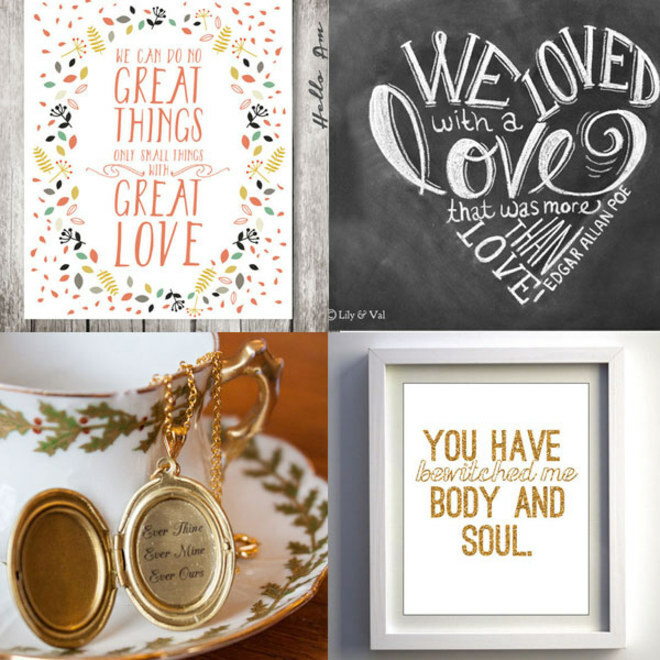 While on the search for romantic quotes, we noticed that much of what we were finding led back to Etsy, our favourite marketplace for buying and selling unique goods. We loved the way that the quotes became works of art in so many different ways, we had to share them. Here's a selection of our very fave romantic quotes.